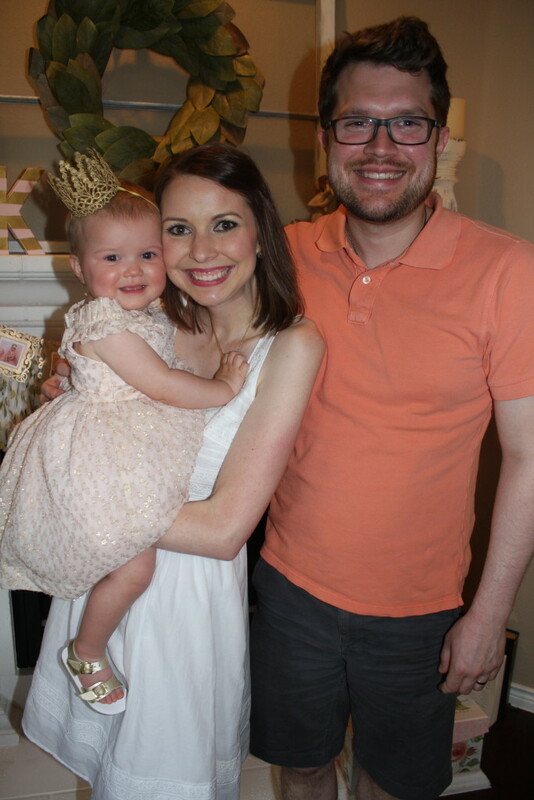 One year… one whole year since Kolbe Therese was born. 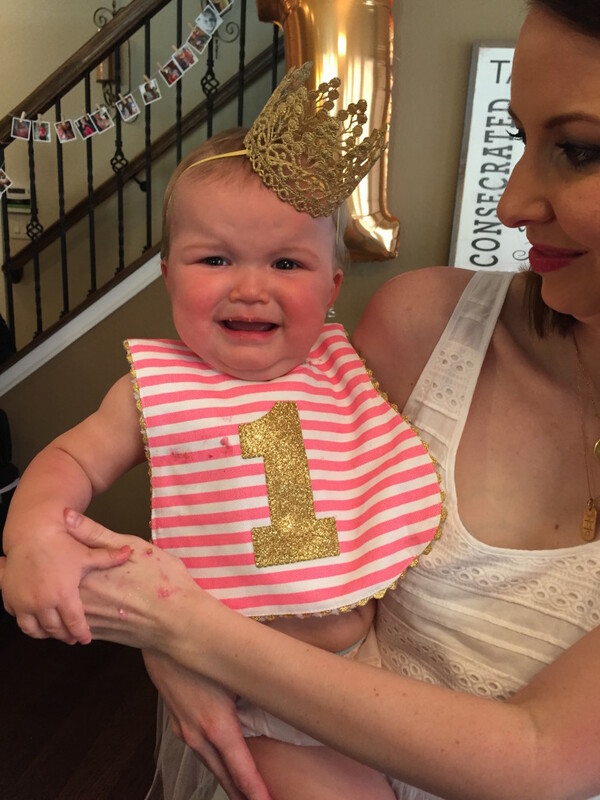 Well, it’s more like one year… one whole year that I have survived as a mom. Pretty crazy. The amount of change and growth that I have had this year has probably been about equal to Kolbe. 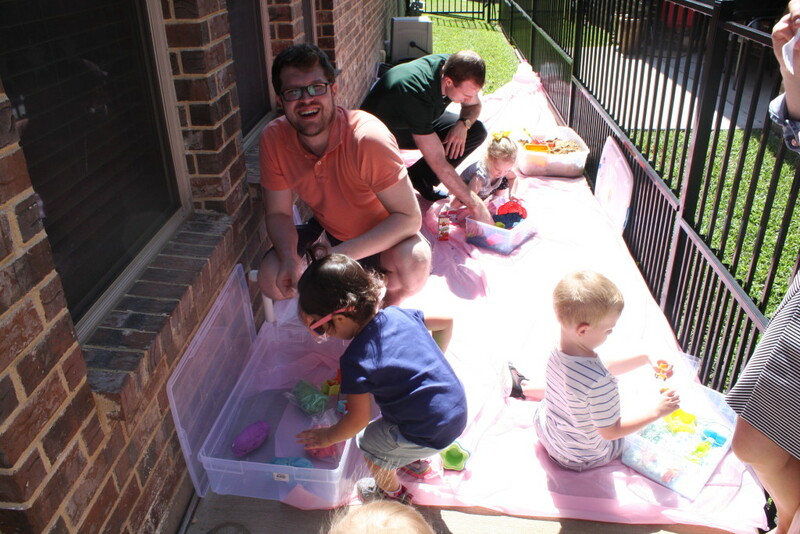 Motherhood is truly the best, but there is a humbling learning curve that happens. My motto this year has been that “God only grants you the grace you need for right now, not tomorrow” and that has saved me from thinking ahead to the “just wait until she is moving”, “just wait until you can’t get anything done”, “just wait until you have to actually feed her food”, etc. 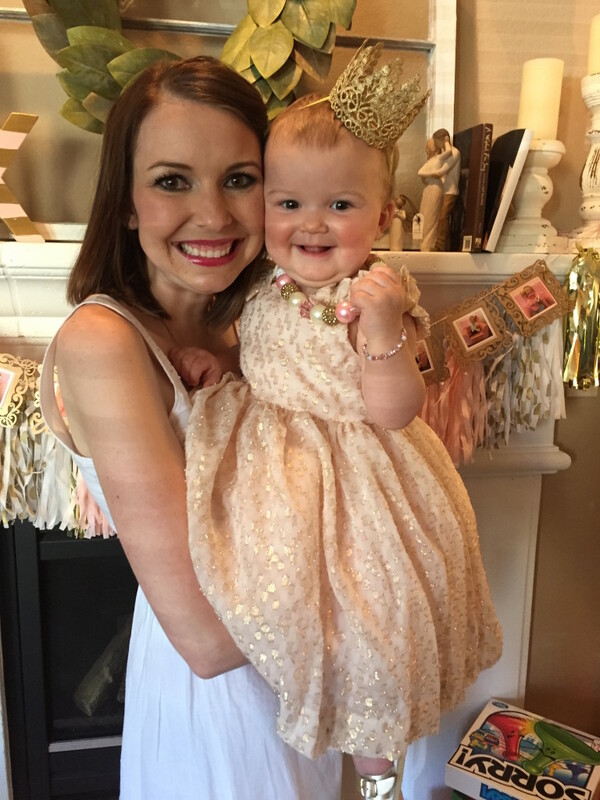 remarks that well-meaning mothers feel obligated to give out. But truly I have enjoyed every stage. Every moment has something to take from it. 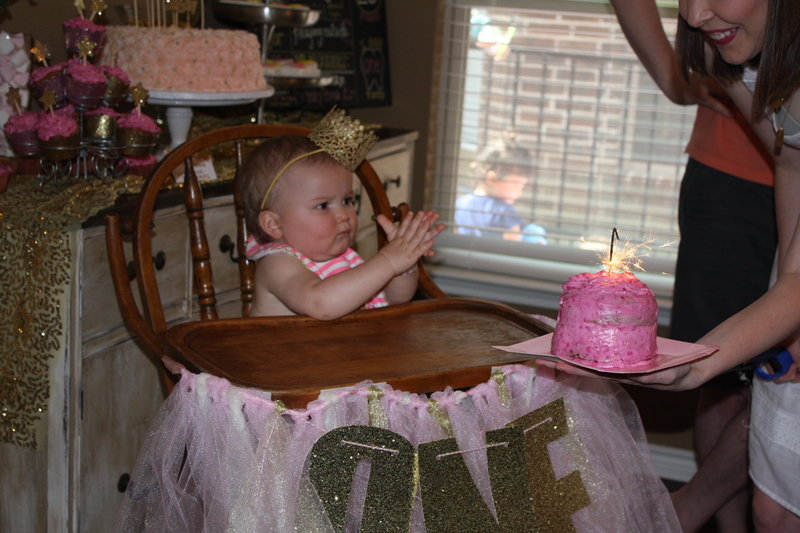 I thank God every single day for this sweet and very smiley little girl and I am so excited to see what her 2nd year of life brings her. 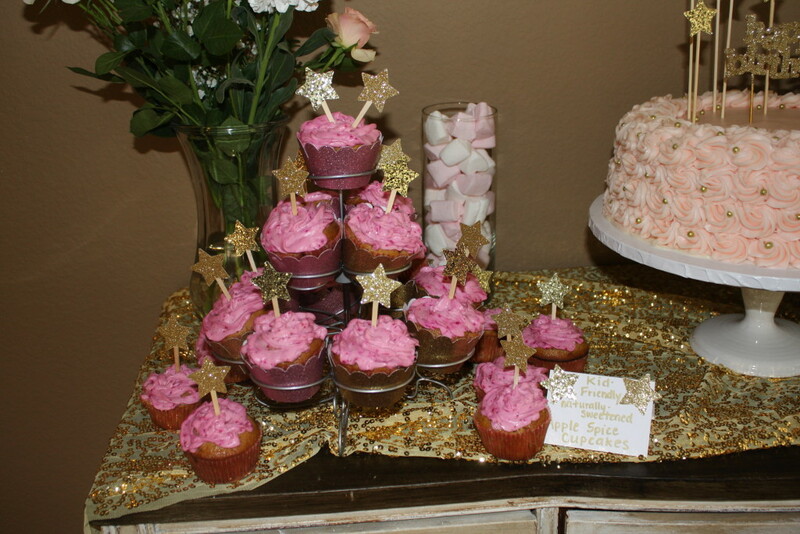 Now onto the good stuff, for Kolbe’s party I wanted to incorporate the colors pink and gold. 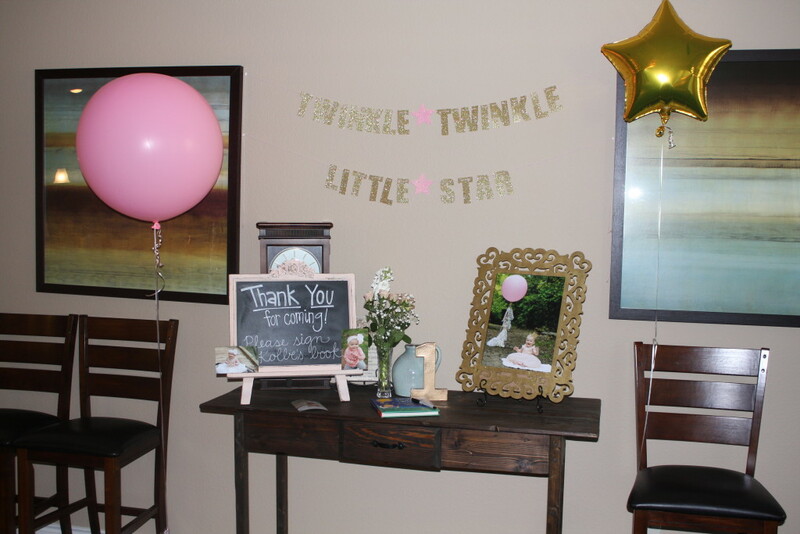 As I was browsing Pinterest thinking about her favorite songs, I thought it might be fun to do a Twinkle Twinkle Little Star theme. After I settled on a theme, the rest came easy! 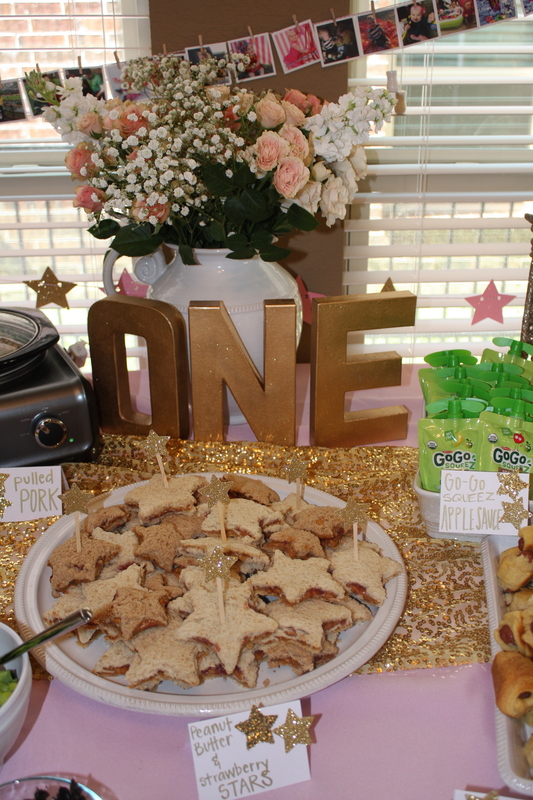 I had such a fun time planning this 1st birthday party and I am excited to share these pictures with you! Enjoy! 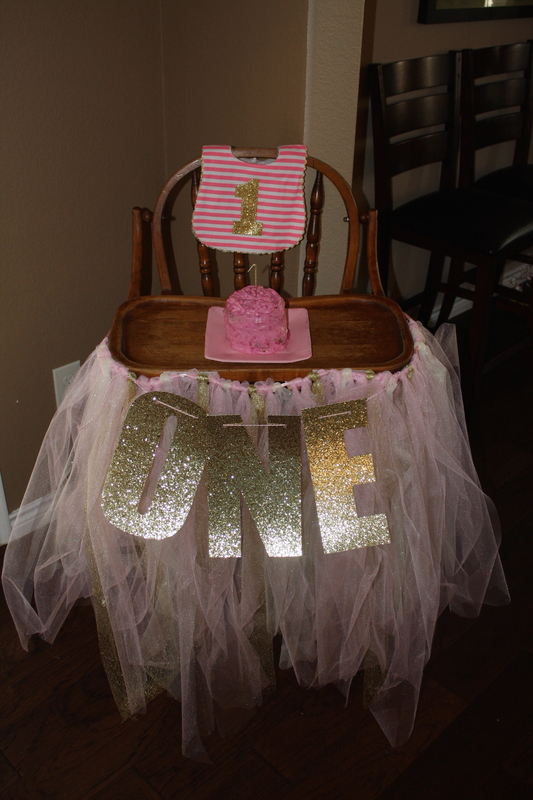 Thanks Aunt Kylie for making this gorgeous sign… Don’t you think she needs to have a business??? 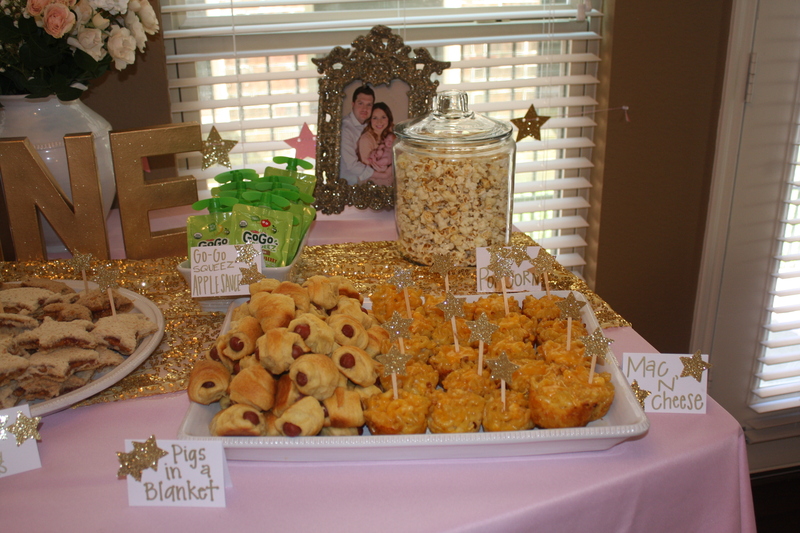 Baked Potato bar for the adults… star shaped PBJs, Mac & Cheese cups, piggies in a blanket, and applesauce for the kids. 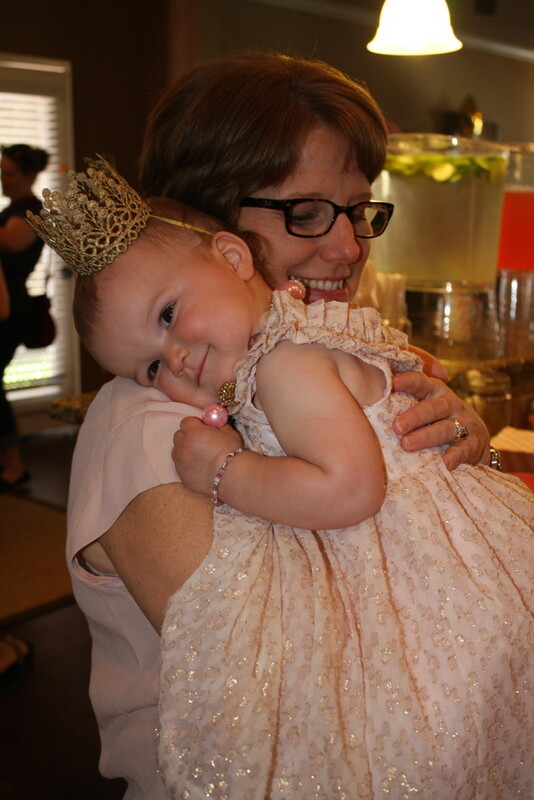 #babyfistpump The birthday girl lovin’ on her Emme! 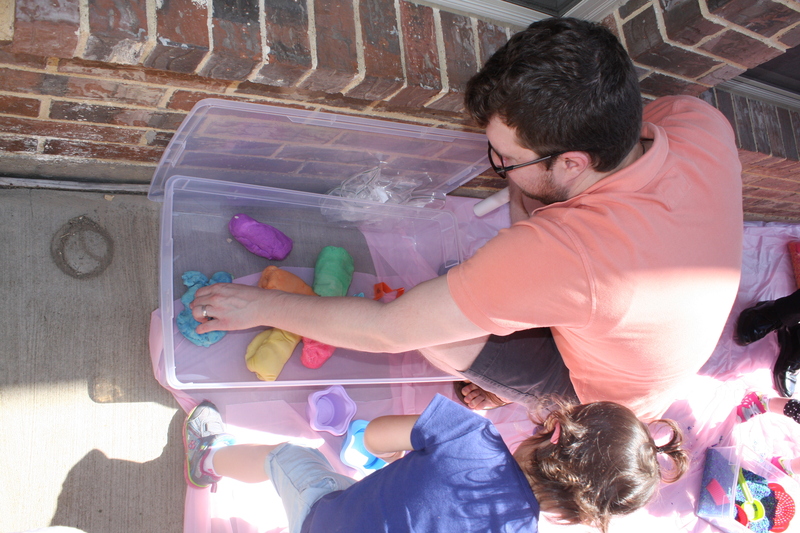 Because of our tiny townhouse yard, I made sensory buckets for the kids to play in! 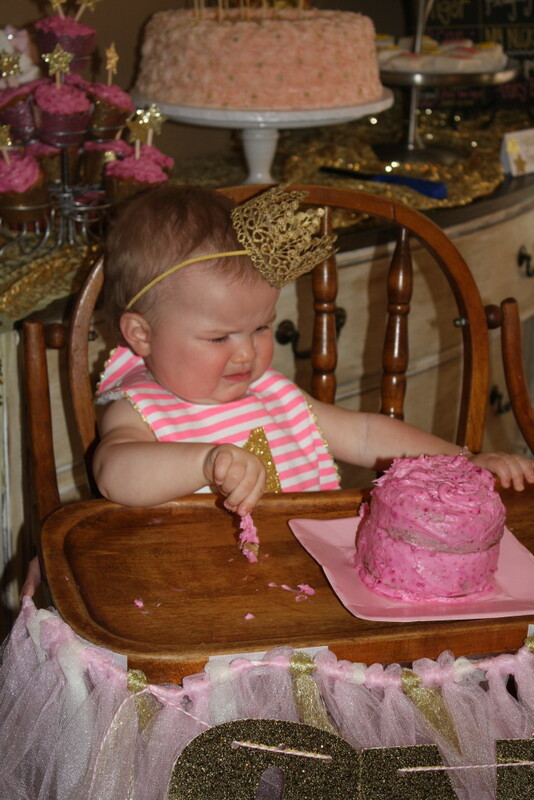 Birthday cake time! “What is this??? I want the fancy cake behind me! Not this naturally sweetened, no refined sugar stuff. I know that frosting has beets in it. What is my mom trying to do to me? Kill me? 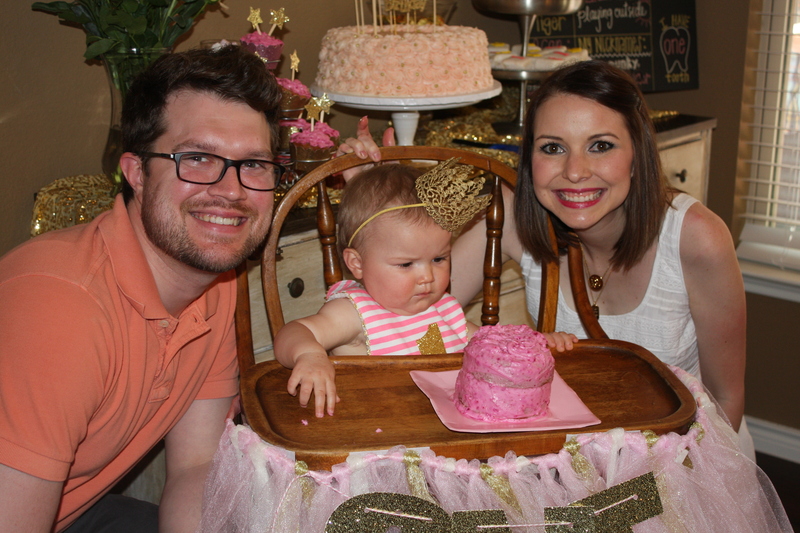 ?” -Kolbe’s inner monologue “Yeah, I want none of that garbage.” And that was the end of the smash cake. This entry was posted in Kolbe and tagged birthday party, chalkboard sign, dessert table, first birthday, kolbe, pink and gold party. Bookmark the permalink. You are so sweet Sue!! Love and miss you!! Come back to Texas and visit me!!! 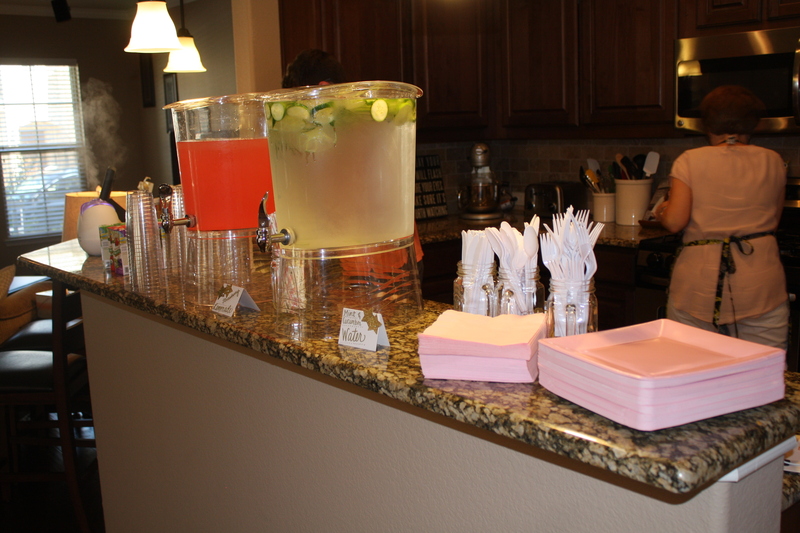 Did you order the invites? I can’t find where I can purchase that exact style. Please help! Hey! 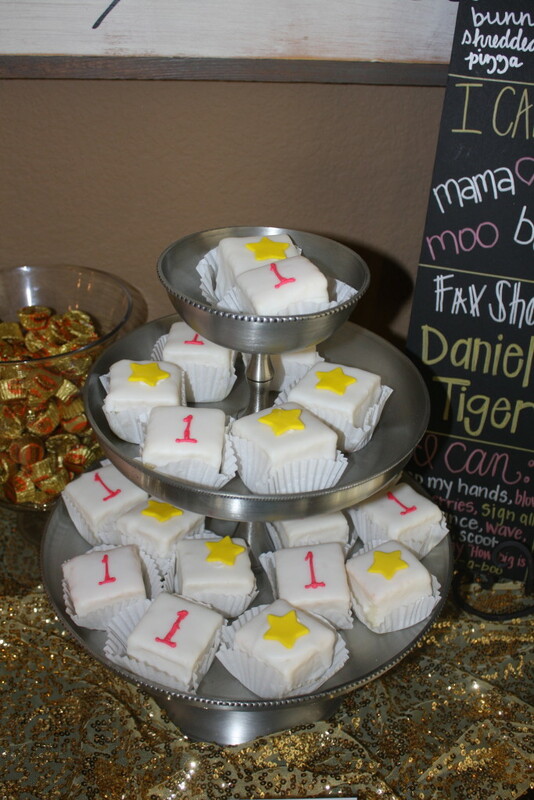 The invitations were a combination of both getting them made and adding my own special touch. I know the girl I went through isn’t making them anymore but I encourage you to find something similar and add your own special touch! Hey! Is there any way you could find out the font of IS WHAT YOU ARE?? I love it! 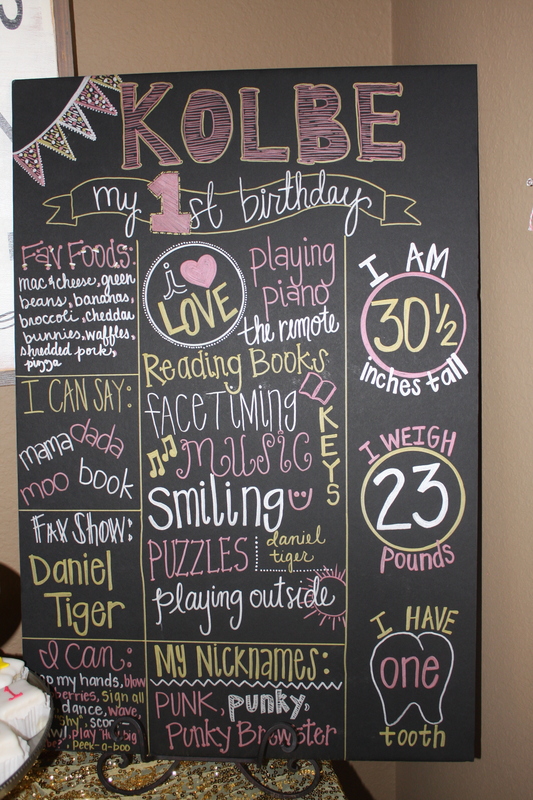 I want to do one of the chalkboard signs for my daughters first birthday, but all the ones I am finding on Etsy are printable a. Did you have someone design it and then print it yourself? And if so where did you have it printed and what did you have it printed on? Thanks so much for the help!! Hey Jamie! My sister actually created it using black mat board from Hobby Lobby and metallic markers! She is super talented at things like that! There are some blogs where you can learn to make your own though! Thank you for checking it out! hey there! 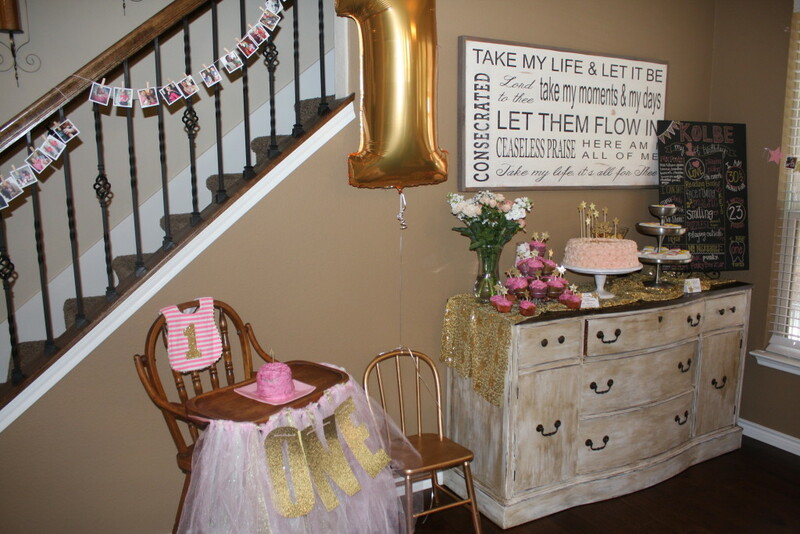 i’m planning a first birthday for my daughter and absolutely love the invitations you used. Where did you find them? Hey! Love the invites where did you get them?! 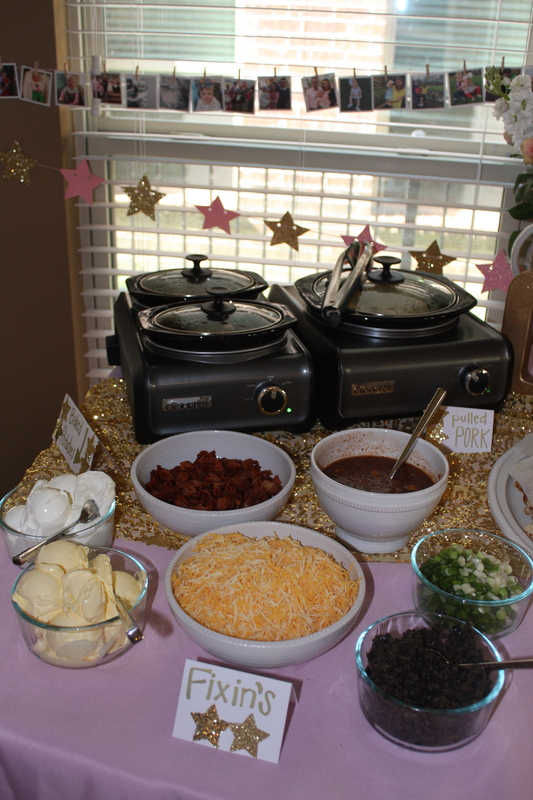 I loved the invitations so much too! I was bummed to find out that they aren’t available anywhere. I totally remade them myself (almost to the tee). I am so excited to send them out! 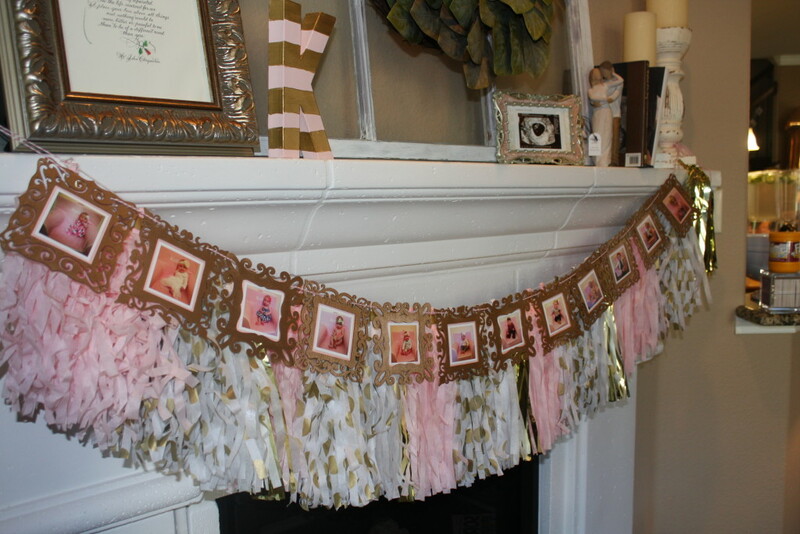 I wish I could have bought them from whoever worked so hard designing such a cute invitation. All so cute! Where did you get those amazing invites? such a great idea! thank you! 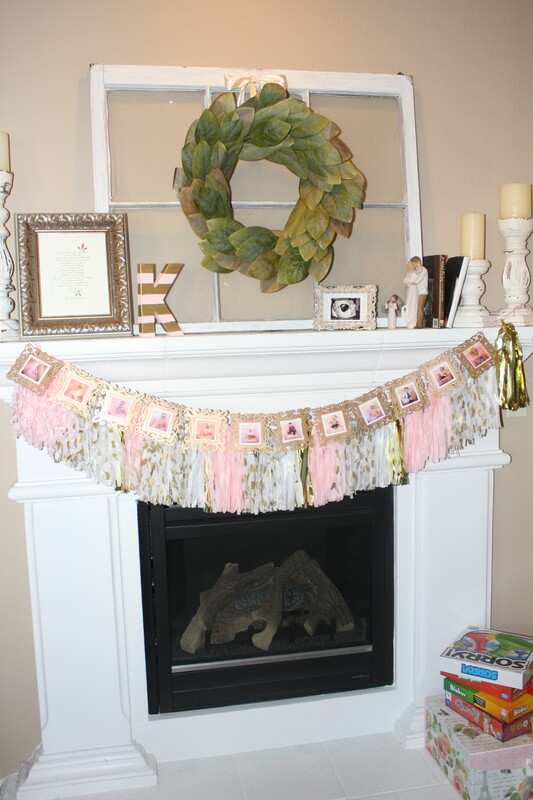 Did you make those amazing invitations or did you buy them?! I love them so much, please tell me where to get them! Hey! 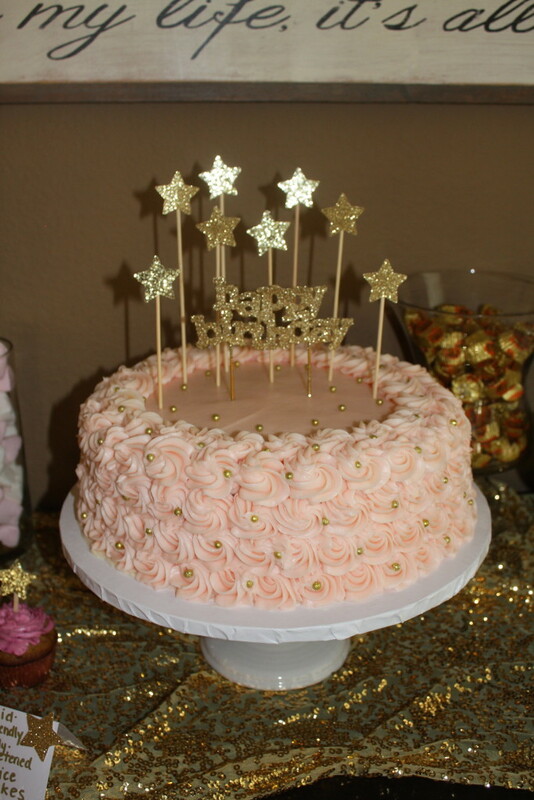 It was a combination of both getting them made and adding my own special touch. I know the girl I went through isn’t making them anymore but I encourage you to find something similar and add your own special touch! 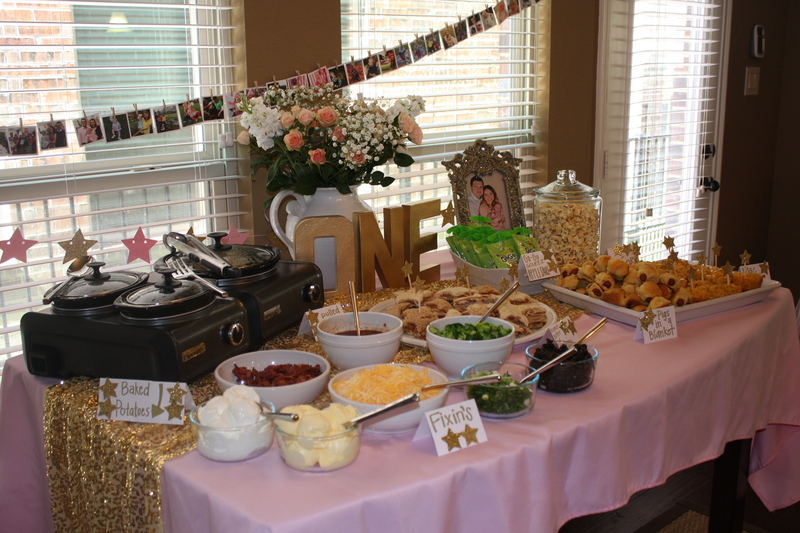 Love everything about the party! I would love to know how you made those tiny pictures you have hung up in the background. 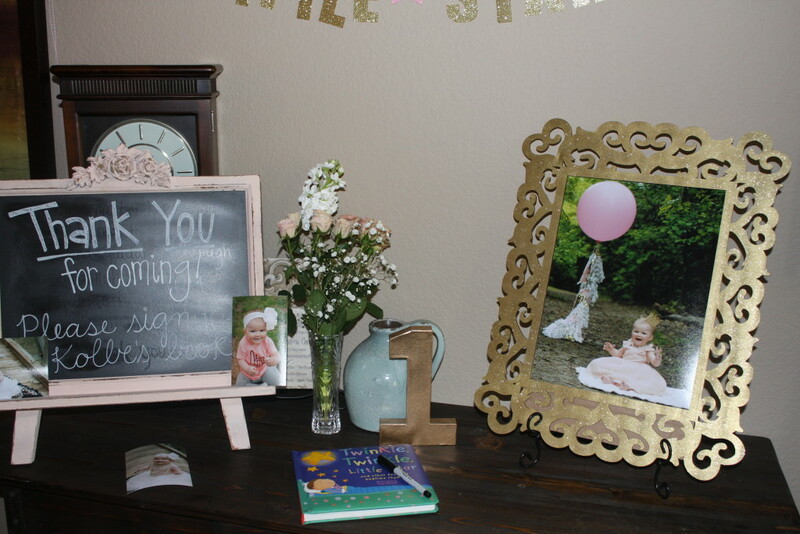 I am in LOVE with the invitations!! Somehow, someway I am going to come up with some as beautiful! They are awesome!! Hi Kristen! What a beautiful party! 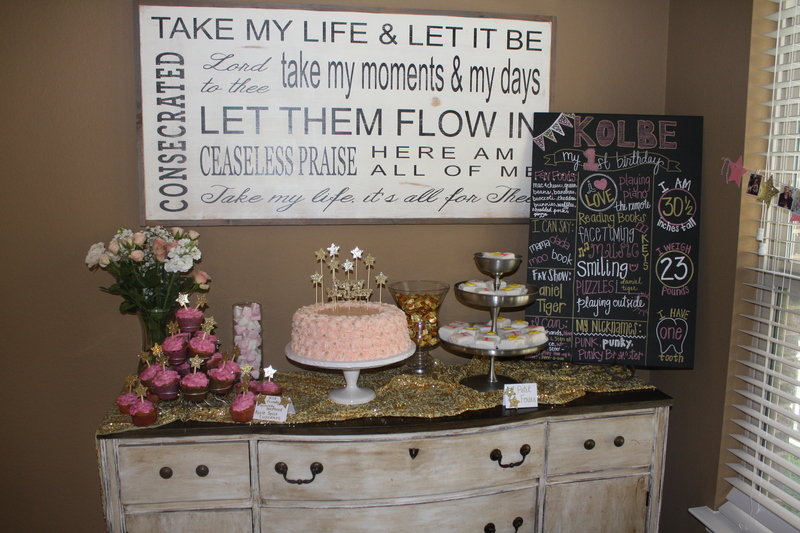 Where did you get the “Take my life and let it be” sign? I LOVE that! Did you make it yourself? Hi there! I was wondering where you got your invitations from? I love this idea for a first birthday party. Thanks for posting! 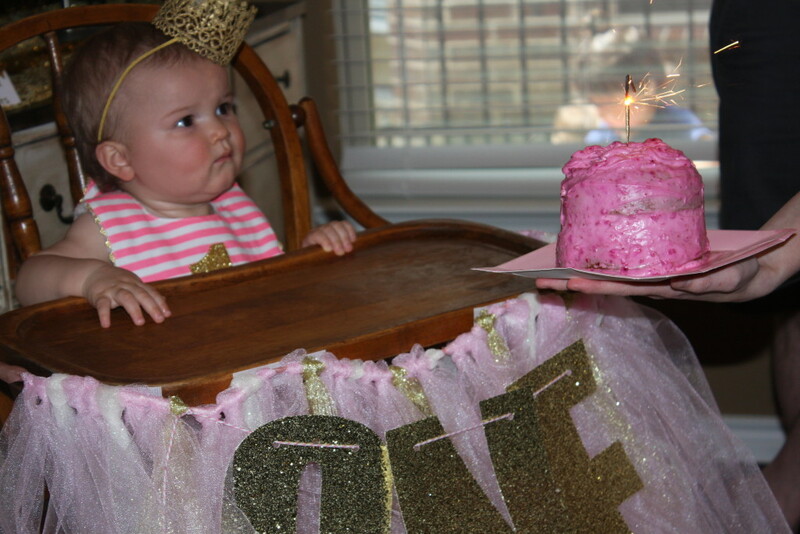 My little Magdalen turns 1 next month and I’m planning to borrow some of your great ideas. I love this whole theme cause we have always done stars for our daughter. How did you make the invites? I’m thinking of sending out about 20 but I don’t know what sort of supplies to get. Are the letters stickers? 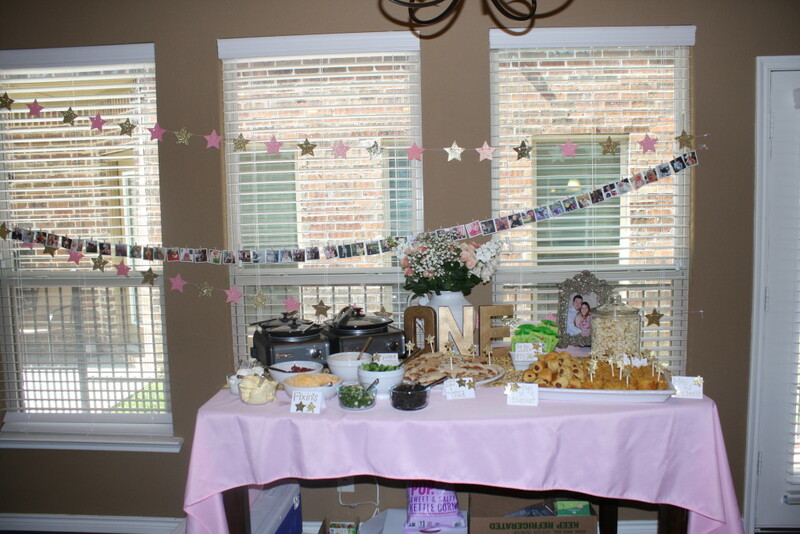 I actually had the invitations printed and unfortunately she isn’t doing them anymore. BUT, the stars were cut with a punch and then threaded on string on the invitation. Maybe you could make something similar?